Hoe kom ik van de griep af? 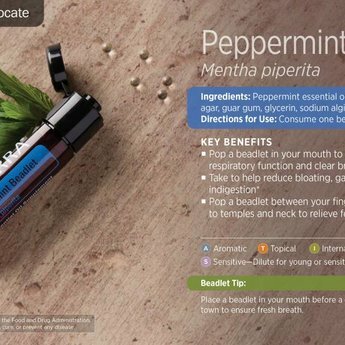 More than a breath mint, dōTERRA Peppermint Beadlets can be used for oral care, respiratory health, digestive comfort, and all other situations in which peppermint essential oil is used internally. 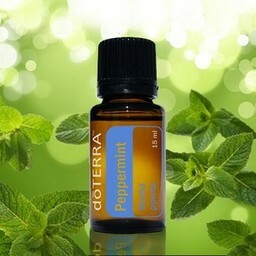 Delivery time: shipment on the same business day if ordered before 16:00 h.
Through a unique and exclusive process, dōTERRA has captured the therapeutic benefits of Peppermint essential oil in the convenience of a soft vegetarian beadlet. 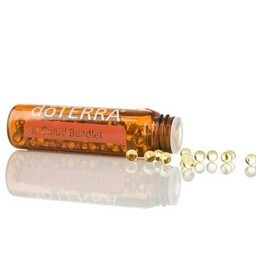 Each tiny beadlet delivers a refreshing burst of Peppermint as it dissolves in your mouth, while invigorating your senses as you breathe in the cooling aroma of pure Peppermint essential oil. 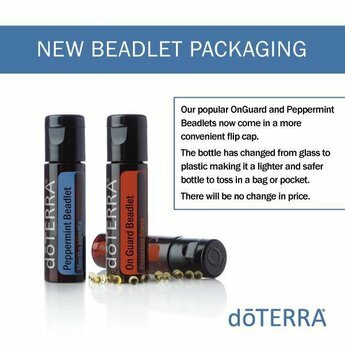 More than a breath mint, dōTERRA Peppermint Beadlets can be used for oral care, respiratory health, digestive comfort, and all other situations in which Peppermint essential oil is used internally. Ingredients: Peppermint essential oil, coconut oil, palm oil, agar, guar gum, glycerin, sodium lginate, carrageenan, xylitol. Warning: if you are pregnant or nusing, always consult a medical doctor before using this product. 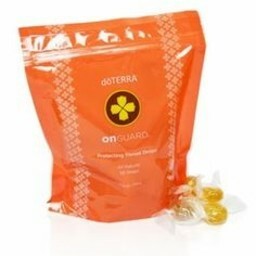 This product is not meant to diagnose, treat, cure or prevent any disease. If you are ill, please consult with a doctor.